(3) in a significant number of cases of delayed eruption of the canine, an abnormality of the lateral incisor in the same quadrant is observed. According to Becker et al, abnormalities of the lateral incisor occur so frequently in cases of delayed canine eruption that the association is not likely to be due to chance. A developmental anomaly might exist in this part of the maxilla, which contains one of the embryonic fusion lines, and DTE of the canines in many cases could be part of a hereditary syndrome. Permanent tooth agenesis (excluding the third molars) in the general population has been noted to range from 1.6% to 9.6%. 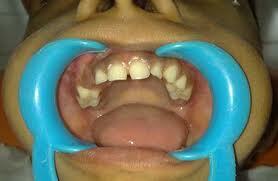 The incidence of tooth agenesis in the deciduous dentition is in the range of 0.5% to 0.9%. After third molars, the most commonly missing teeth are mandibular second premolars and maxillary lateral incisors, in that order. Thus, congenital absence of a tooth should also be suspected when considering DTE. A panoramic radiograph is ideal for evaluating the position of teeth and the extent of tooth development, estimating the time of emergence of the tooth into the oral cavity, and screening for pathology. The parallax method (image/tube shift method, Clark’s rule, buccal object rule) and 2 radiographs taken at right angles to each other are suggested for radiographic localization of tumors, supernumerary teeth, and displaced teeth, which require surgical correction. Computed tomography can be used as the most precise method of radiographic localization, although its additional cost and relatively high radiation dose limit its use. DTE can also have psychological implications for the patient, especially if anterior teeth are affected. 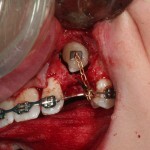 The duration of orthodontic treatment might be prolonged while the orthodontist and the patient wait for tooth eruption. In such situations, adequate space should be maintained and a reevaluation for possible systemic influences should be performed. When there are coexisting systemic conditions, factors such as bone quality, bone density, and skeletal maturation also should be considered. (6) diagnosis and treatment of systemic disease that causes DTE. Once the clinical determination of chronologic DTE has been established, a panoramic radiograph should be obtained. The screening radiograph can be used to assess the developmental state of the tooth and rule out tooth agenesis. If there is defective tooth formation, the first step should be to assess whether the defect is localized or generalized. In the deciduous dentition, close observation of the defective deciduous tooth or teeth is the usual course of treatment, and space should be maintained where indicated. Unerupted deciduous teeth with serious defects should be extracted, but the time of extraction should be defined carefully by considering the development of the succedaneous teeth and the space relationships in the permanent dentition. Information in the literature is sparse on this topic, either because the condition is underreported or because defective tooth development is primarily diagnosed in the permanent dentition. In the permanent dentition, unerupted teeth are normally closely observed until the skeletal growth period necessary for appropriate development and preservation of the surrounding alveolar ridge has been attained. Management has traditionally focused on the restorative challenges of these patients once the teeth have erupted. 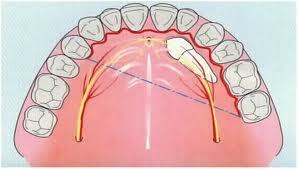 No systematic approach to accelerate the eruption of malformed retained teeth could be found in the literature. However, Andreasen suggests that in patients in whom the defect is not in the supporting apparatus of the tooth, exposure of the affected teeth might bring about the eruption. 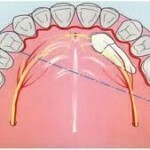 Severely malformed teeth usually must be extracted. 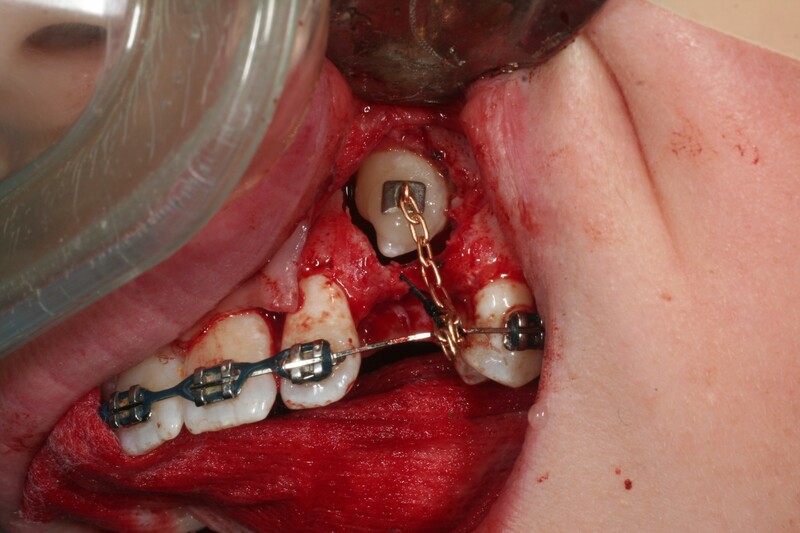 Often, defective teeth can serve as abutments for restorative care once they have erupted.